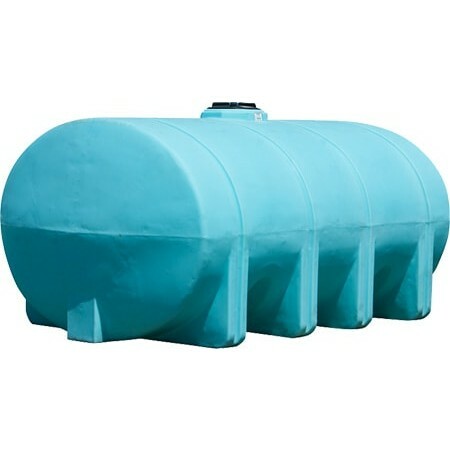 Norwesco 2635 Gallon Elliptical Leg Tank, part# 40283 is a blue portable transport tank. It's primarily used for the storage and transportation of water and chemicals. 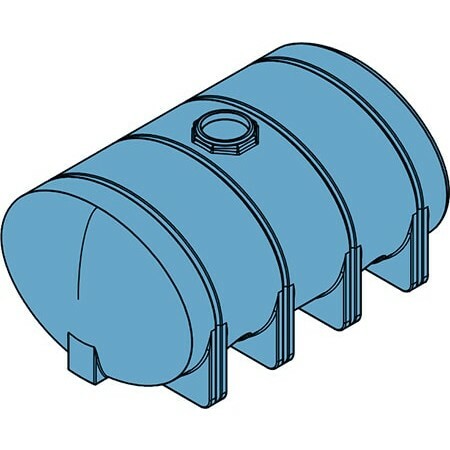 This Elliptical Leg Tank is used in a variety of industries such as construction, auto detailing, manufacturing, agriculture, fire suppression, lawn care, and pest control. The tank is often mounted to trucks, trailers, ATV's, and agriculture equipment. The Norwesco 2635 gallon portable leg tank has a specific gravity rating of 1.9, making it safe for chemical transportation and storage. It features a 16" threaded vented manway and an outlet with a 3" polypropylene NPT bulkhead fitting. It's a freestanding tank that does require supports or tie downs. It is recommended that supports are used when transporting liquids.